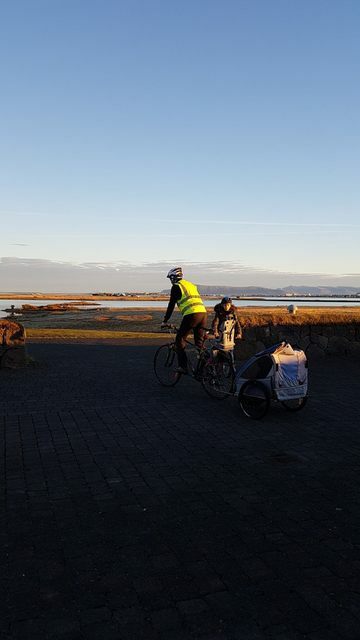 New Icelandic President, Guðni Th.Jóhannesson has been true to his words in the presidential campaign when he said he would retain a "normal" life and cycle to school with his kids. 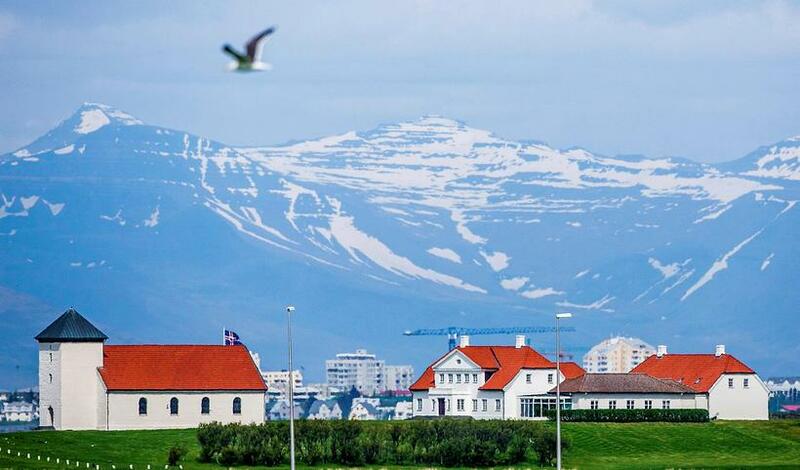 Jóhannesson, his wife, Canadian born Eliza Reid and his three young children have now moved to the presidential residence called Bessastaðir, in Álftanes, a municipality located next to Reykjavik. The President who has a Facebook page where he writes about his daily activities, posted a photograph this morning of his daily morning cycle to school. He writes, "Now our family has moved to Bessastaðir. We were met with a unique beauty this morning, the low rays of the mornng sun, the buildings in Reykjavik bathed in a glow, a calm ocean, fresh air, the mountains in the distance, the horses in the field, the song of the swans. Iceland is a beautiful country." (Translated from the post which was originally in Icelandic).